THE BOARD OF the Football Association of Ireland (FAI) is set to meet later today, with John Delaney’s departure from the organisation expected to be discussed. On Saturday, The42.ie reported that the FAI’s executive vice president – and former chief executive – would be leaving the organisation, but no formal announcement has yet been made. Secretary of Kerry District League Soccer John O’Regan also confirmed to Radio Kerry that Delaney sent him a text to confirm he was “stepping down” from his role as the FAI’s Executive Vice-President. 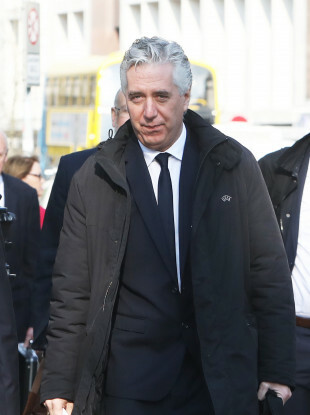 It follows a series of turbulent weeks in the public eye for the FAI, which began when the Sunday Times reported that Delaney had given a cheque of €100,000 to the organisation in 2017. In a statement last night, the FAI said it is taking urgent steps to address its current governance and financial issues. “The Association continues to work to restore the trust of its stakeholders including the Minister and Sport Ireland as soon as possible. The FAI wants to ensure that all those who play football across Ireland do not suffer as a result of the actions of the Association,” it said. The statement also said the board would be meeting today, and it’s expected the terms of Delaney’s departure will be discussed. Ongoing governance reviews into the organisation are also expected to feature on the agenda. Delaney became Treasurer of the FAI in 2001, and then became full-time CEO in 2005. He served that role until late on Saturday 23 March, when it was announced that he would assume a new role entitled Executive Vice President following a governance review conducted by Jonathan Hall Associates. Email “FAI board meeting today set to discuss Delaney's departure”. Feedback on “FAI board meeting today set to discuss Delaney's departure”.